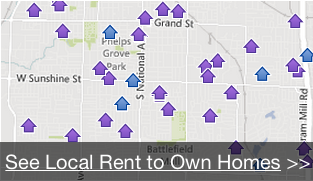 Looking For A Rent To Own Home? Contact Us! Why Rent When You Can Own in Minneapolis - St. Paul Minnesota? LEGAL DISCLAIMER: Rent To Own refers to properties that are leased and include an option to purchase. This site does not charge for rental listings and is not a Pre Paid listing Service as defined by California Business and Professions Code 10167. Terms of credit during rental period dependent on agreement with homeowner. Terms of credit may affect ability to qualify for home loan at end of lease period. There are no guarantees of future mortgage financing. We are not attorneys or accountants. Get your own independent 3rd party advice and do your own due diligence. Jesse Mills, Founder & President of Home Solutions Group, LLC, is a licensed Realtor with Realty Group, Inc.